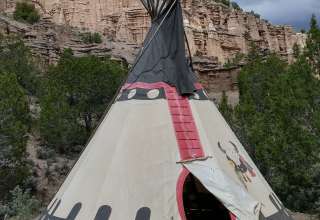 The best camping in Utah. Find yourself outside from breathtaking rock formations in the Wasatch Mountains to the wide expanses of the Great Salt Lake and Bonneville Salt Flats. Nothing describes camping in Utah better than "otherworldly." 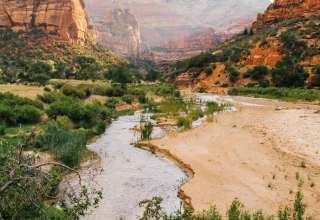 Hike and climb among striking rock formations in the state's five National Parks - Arches, Bryce, Canyonlands, Capitol Reef, and Zion, each of which is wondrous in its own unique way. 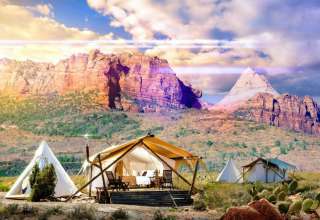 Camping in Moab is a great way to establish a home base for exploring Arches and Canyonlands National parks. From Moab you can bike, climb, and raft, and backpack throughout the surrounding region. Within an hour of Moab you can also vIsit Newspaper Rock State Historic Monument to see one of the largest known petroglyph panels in the world—some dating back to 1,500 years ago. Up north, Great Salt Lake and the Bonneville Salt Flats are always worthy of a visit. Spend a few nights at Great Salt Lake State Park or Antelope Island State Park, where bison roam free. 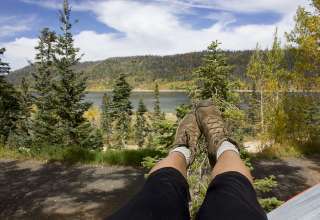 With such an incredibly diverse landscape and endless camping options, Utah has a slice of paradise to offer just about any personality, from the RV camper to the backcountry nomad. Calling all stargazers! On a moonless night, more than 7,000 stars can be seen flickering from Bryce Canyon National Park. Also known as “The Trembling Giant,” Pando is a single organism of quaking aspen spread over 107 acres with a shared root system. Great Salt Lake is the Western Hemisphere’s largest saltwater lake and is up to five times saltier than the ocean. Spanning more than 30,000 acres, the Bonneville Salt Flats are an otherworldly natural feature and home to some world land-speed records. Once part of a land mass dense with dinosaurs called Laramidia, Utah is one of the top places in the nation to find dinosaur fossils.